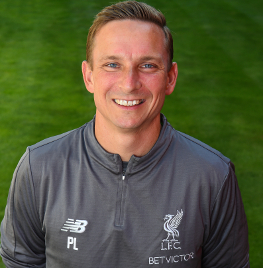 Pepijn Lijnders returned to Liverpool FC in a senior role within Jürgen Klopp's first-team coaching setup in the summer of 2018. The Dutchman had previously spent three-and-a-half years with the club, initially as U16s coach at the Academy for one season before taking up the newly-created position of first-team development coach in 2015. A crucial link between the youth system in Kirkby and the senior environment at Melwood, his duties grew further following the appointment of Klopp as manager and he became a key figure in the German's backroom team. Lijnders, a thoughtful student of the game, had previously worked at PSV Eindhoven in his homeland for five seasons before a seven-year stint at FC Porto in Portugal. Having helped oversee the progress of the likes of Trent Alexander-Arnold and Ben Woodburn, he took up his first challenge as a manager with NEC Nijmegen in January 2018. After Lijnders parted company with the Dutch club, the Reds moved quickly to bring him back to Merseyside and he re-joined Klopp's staff ahead of the 2018-19 campaign.